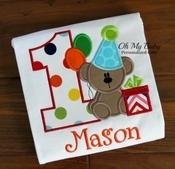 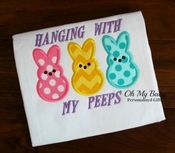 Oh My Baby specializes in embroidered gifts for newborns, toddlers and children. 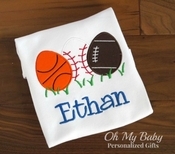 Our store features quality personalized products including blankets, burp cloths, bibs, birthday shirts, beach towels, holiday shirts and more. 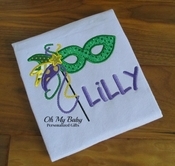 Embroidered names and designs are free with every item including hooded towels, hand towels and appliqued shirts. 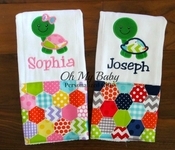 If you're looking for something specific, just ask! 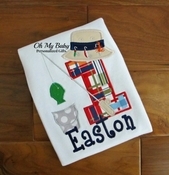 We love custom orders!